I took this snap while snowshoeing close to Paradise. I loved the texture made on the snow. I have no idea how it forms on the snow, but it looked amazing. 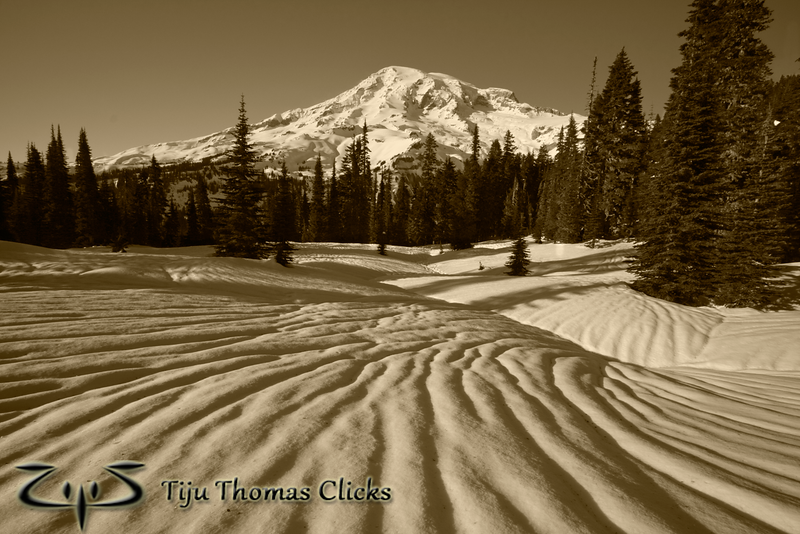 I positioned myself so that the lines point toward Rainier. There was no special colour in the sky or on the mountain - so thought of converting it into Sepia.